It's the digital age. A time when the internet seems to have become an integral part of daily life. There is not a single day that we do not interact with the internet in some form or another. The limits that were once set in place by time and distance now seem to matter little, especially when it's in terms of communication and in the sharing of information. And with the advent of this technology, it is now, more than ever, that companies have the ability to reach a vast audience. And it would be such a big waste if companies failed to capitalize on such an opportunity. In this era, brand reputation is almost as important as the quality of products and services that a company provides. The way a company presents itself has a chance to create a lasting impression on a consumer and more often than not, when a consumer is made to select between two brands, they are more likely to go with the brand that they feel is more familiar to them, even if they have never transacted with that particular brand yet. And while it's much easier to simply leave all this to a branding agency, there's no harm in being aware of upcoming trends. So, what trends should you be familiarizing yourself with in order for your company to stay competitive this year? Read on, fellow entrepreneur. 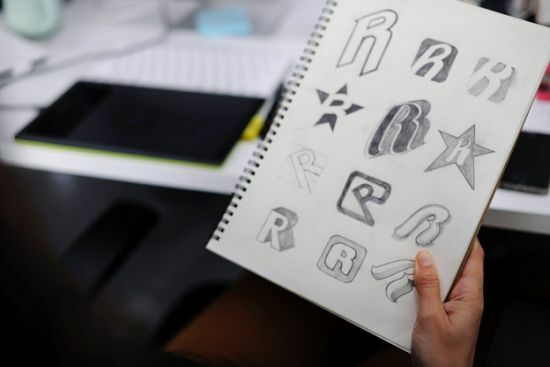 This basically means that you should have an arsenal of logos that are ready for use depending on any given situation. For example, if you have a mobile app, you should already have a smaller version of your logo ready. Or if you have a printing promotional campaign, a monochrome version of your logo could save you a lot of money. And the opposite would be true if your campaign is meant to appeal to children, in which case, a colorful and more artistically-playful version of your logo would be used to great effect. While shapes have long been a go-to staple for logo design, the drawback with their use is that they are often too bland and too intimidating. Sharp edges, symmetrical design, and so many other factors make for a modern, yet cold, look. Expect to see designers offset this by adding warm colors as well as curves to their logos. This retains that clean and modern aesthetic while giving off an approachable vibe. Yes, that's correct. After so many years of all those minimalistic designs, it's about time that the direction of the wind changed. Vintage-inspired logos, old school typography, as well as intricate details are bound to make a reappearance this year. Others may even begin to incorporate pixel art for that retro-slash-futuristic feel. Whichever the case is, it's clear that this is the year that we begin to ditch minimalism. While we're all familiar with 3D logos, it's still worth noting that this type of design is so effective that even a simple 3D text can already be used as a logo. Now, take for example the new Nintendo cube; it's undeniably recognizable.